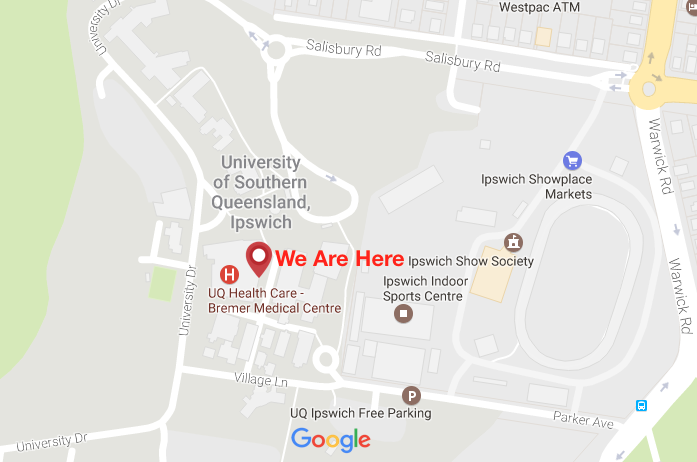 We are located at Building F, 11 Salisbury Road, Ipswich QLD 4305. Free parking is available for our patients in Car Park 2. As a medical centre for the whole community, our team of experienced, highly trained GPs, nurses, allied health practitioners and specialists is dedicated to providing you the highest quality healthcare. We strive to provide outstanding and compassionate care and service, before, during and after you visit us. We offer care centred around you and your family through our extensive range of health services, from treating acute illness to preventive health services, including health assessments, chronic disease management, pregnancy and paediatric care, work related injuries/ assessments and travel health. Bremer Medical Centre is an AGPAL accredited practice meeting the high standards for safe and quality health care set by the Royal Australian College of General Practitioners. We have an ongoing commitment to quality improvement and to training the next generation of doctors, nurses and allied health. At Bremer Medical Centre we are more than just a medical centre; we provide a diverse range of services dedicated to the healthy future of our community. © 2019 Bremer Medical Centre | All Rights Reserved.